The Europeanization of National Polities? Citizenship and Support in a Post-Enlargement Union. Sanders D, Bellucci P, Tóka G, Torcal M, editors. Oxford: Oxford University Press; 2012. Sanders D, Bellucci P, Tóka G, Torcal M. Conclusions. In: Sanders D, Bellucci P, Tóka G, Torcal M, editors. The Europeanization of National Polities? Citizenship and Support in a Post-Enlargement Union. Oxford: Oxford University Press; 2012. p. 217-34. 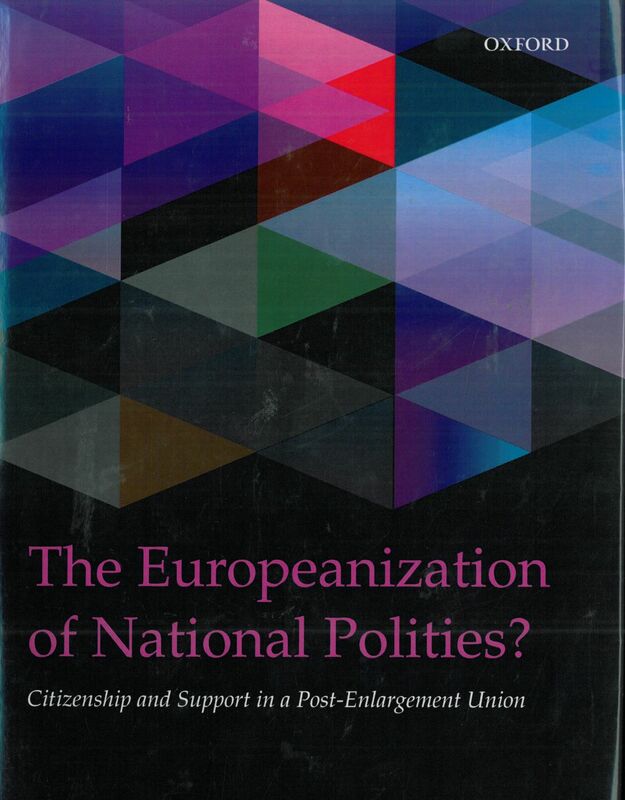 Sanders D, Bellucci P, Tóka G, Torcal M. Conceptualizing and Measuring European Citizenship and Engagement. In: Sanders D, Bellucci P, Tóka G, Torcal M, editors. The Europeanization of National Polities? Citizenship and Support in a Post-Enlargement Union. Oxford: Oxford University Press; 2012. p. 17-38. Bellucci P, Sanders D, Tóka G, Torcal M. Introduction: Antecedents and Consequences of European Citizenship. In: Sanders D, Bellucci P, Tóka G, Torcal M, editors. The Europeanization of National Polities? Citizenship and Support in a Post-Enlargement Union. Oxford: Oxford University Press; 2012. p. 1-16. Sanders D, Bellucci P, Tóka G. Towards an Integrated Model of EU Citizenship and Support. In: Sanders D, Bellucci P, Tóka G, Torcal M, editors. The Europeanization of National Polities? Citizenship and Support in a Post-Enlargement Union. Oxford: Oxford University Press; 2012. p. 187-216. Tóka G, Henjak A, Markowski R. Explaining Support for European Integration. In: Sanders D, Bellucci P, Tóka G, Torcal M, editors. The Europeanization of National Polities? Citizenship and Support in a Post-Enlargement Union. Oxford: Oxford University Press; 2012. p. 137-66. Enyedi Z. Adversarial politics, civic virtues and party identification in Eastern and Western Europe. In: Bartle J, Bellucci P, editors. Political parties and partisanship : social identity and individual attitudes. London: Routledge; 2009. p. 246-84.